Winter is coming: it’s a phrase you may have heard before in a popular show. In the retail industry, Winter is a symbol of great opportunity, and also of great stress, because it represents the holiday rush of just 6 weeks that makes up 30% of our annual sales. This means that we have to be ready to scale everything about our business. 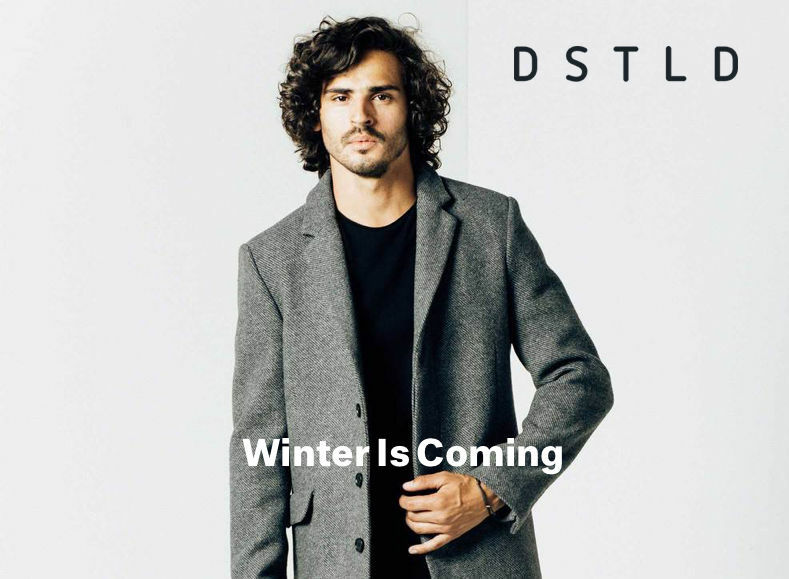 Before I describe how DSTLD prepares for winter, I’ll tell you a bit about what we do. DSTLD is a direct-to-consumer ecommerce company. We sell premium denim and essentials without the retail markup and offer a high-quality offering it to you at ⅓ of the typical retail price. DSTLD focuses on simple design and superior quality. Our founders have always valued a top-quality product and customer experience over the name of the label stitched on their clothes. At DSTLD, we prepare for a great experience during the holiday season by setting a high bar for our regular operations. Customer experience plays a large role at DSTLD and was an important factor when the founders were creating the company. We are customer first. That means making things seamless and easy for our customers. Our customer service department plays a huge role, because at the end of the day if we didn’t have our customers, we wouldn’t have a business. One of the ways we practice to scale during the holidays is to use the concept of “all-company support.” Everyone in our company — from the founders to our finance department — have been trained to use our tools and support our customers in a friendly, individualized way. As with any ecommerce company, there will always be issues out of our realm of control with customer’s orders, including deliveries to the wrong address, missing packages, or delays in delivery, and at the end of the day we aim to deliver an incredible customer experience, no matter what issues arise. For example, one of the highest rates of drop-off for an ecommerce site occurs when a customer has issues prior to and at checkout. After launching chat on our site, we were able to respond immediately to our customers and provide great customer service. Just being able to answer our customer’s questions through live chat resulted in higher sales and a higher conversion rate at checkout. But pre-sale support is just one aspect of the customer journey. And as we get closer to the holiday demand, making sure we get a complete view into our customer’s journey is important. We have many different touch points with our customers, and making sure each one delivers a positive experience is key to our success as a company. During the brief holiday season, we see a rise in increased demand and also in customer service requests. We use a structured framework to organize our response to each type of issue, which helps us manage the customer journey from beginning to end. For example, a common issue is a delivery being delayed due to a snowstorm. We start by identifying customers who may be affected by using Kustomer, our CRM platform for customer experience. Using Kustomer, we create a search of customers, identify who might be affected, prioritize our outreach based on different customer segments, and then reach out to those who have been affected. To improve our consistency and speed up our outreach, we send a bulk message to our customers in their preferred channel of text or email, notifying them of the delay. But it doesn’t stop there. We believe that individualized customer service is a competitive differentiator. To scale this effort across many customer segments, we use Kustomer to create automated customer journey workflows that identify common issues and make it easy to respond quickly. Then, we follow up with personalized customer service. Here’s how it works for a typical customer. For example, if a customer orders a specific holiday gift and that shipment is unavoidably delayed due to a snowstorm, we know that regular solutions like a refund or discount code will not cut it. Our customer wants that item and doesn’t want to go through the hassle of last minute holiday shopping. We want our customers to be happy and we will do everything in our power to make sure that they have a great customer experience even when issues arise. In this scenario we would send a new shipment of that item using our integrated access to our Spree ecommerce solution to expedite the new shipment and make sure it arrives on time. Once we get a delivery confirmation, we will reach out to our customer and make sure that they are happy. This costs us a bit more for the individual customer who has an issue, but also creates a customer for life. Another way we prepare to scale our typical high-touch customer experience is through operation and system updates during the slow seasons. Our main focus is to speed up processes both within our Admin system and our team, to improve productivity. For example, we’ve created a new process for exchanges to make completing them even easier. As a result, our customers receive their item even faster than before, giving them a better customer experience and helping us stay competitive.Then, when the winter season gets closer, we hire seasonal workers to meet the influx of demand. Due to our refined operations, they get up-to-speed faster and are more productive and efficient. The additional, temporary team members help us continue to deliver great customer experience that is at the center of our brand. Learn more about Kustomer here. DSTLD is not just an ecommerce company. We are friendly, human, and focused on delivering a great customer experience throughout all aspects of our customer’s journey. As winter draws closer, we are prepared to handle the rush and any issues that may arise. Are you? Because winter is coming. Laura Gramlich manages the customer service department at DSTLD whose mission is to provide simple design and superior quality denim and luxury essentials at 1/3 the price. Laura began her career in customer service on the east coast and moved to LA to hone her skills in fashion merchandising. Her expertise has contributed to the growth of DSTLD through the design and implementation of best-in-class loyalty programs that engage valued-conscious consumers seeking high-quality merchandise.